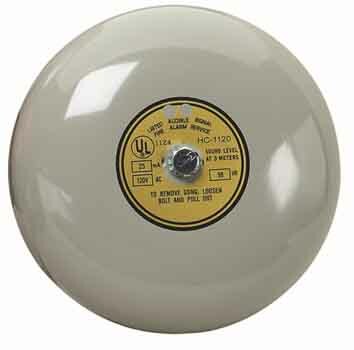 95db bell for schools, workshift timers, shops, sports arenas. Requires Pyramid 7000, 5024, or 5300 timer to operate. Simply connect one to the timer, then connect the others to that bell. Up to 12 bells! More, with an adapter (call us). This is low voltage, no permits required.